In starting 7.1 Sp01 the new Request for Change (RfC) was introduced. This RfC access through CRM web UI.but is widely enhanced change from SP version release. Upto SP04 we having ibase selection issue for drop down list selection and no maintanace cycle issue sometime. Select the Urgent or Normal change , it automatically select fetch the component from project selection. In SP05 , Component column is added for manual addition. I hope this will give overview of ibase election in SP05 Version. If I am working on multiple landscape scenario where I have multiple logical compoent assigned to one maintenance project, how system will fetch the correect IBASE automaticaly. If Can, could you please check and share the screen shot of this scenaio too. 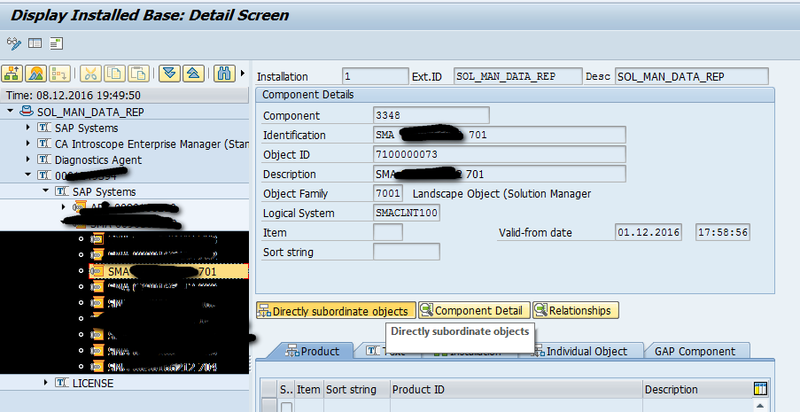 For Multiple landscape scenario, SAP introduce component column option in Request for Change Scope block. please check the blog for same. Thank you for all you contributions on SCN. 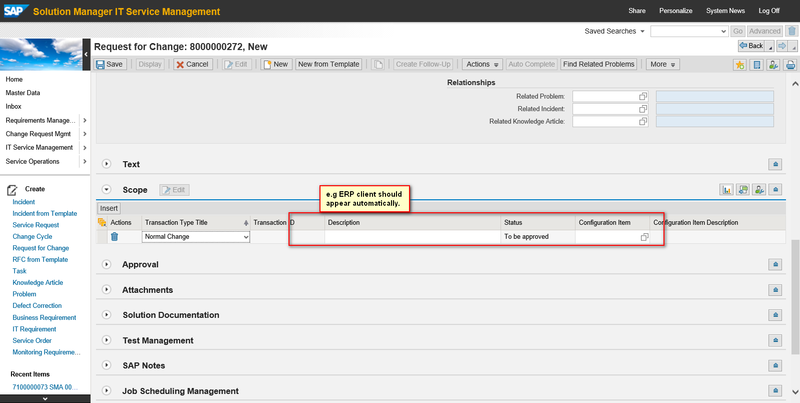 For this I went through all the necessary solman_setup steps and all seems to look OK. I created a solman project, cts project and img project,. There I can select my project Demo1. But in the Request for change Scope I cannot select anything. If I would not enter a project, I can see a long list in the Scope area at the Component section. This list is read from the ibase. In the solman maintenance project at System Landschape – Systems I have the correct Logical component entered, set Change-relevant for the this line. Do you know why the rfc cant see the systems in the project? In IB53,all clients are visible in Solman 7.2 But when i Select the Urgent or Normal change , it shows nothing .Could you please help me out?